Paying $12 for a premium app which has nice features, but then requires a Rep to renew it to keep active is irritating and a disservice. Invaluable resource in the real estate industry. Allows me to answer questions regarding financing, rates, and other various info on the fly. Results look very professional and well laid out. This app is a fantastic for Realtors to use to provide net sheets for their buyers and sellers. There are great full-color and customizable marketing pieces you can print, email or text. Rent vs Buy, Tax Benefits of owning, etc. TRID compliant. Awesome app! It can use better graphics on the estimated payment page. But the marketing flyers look good. 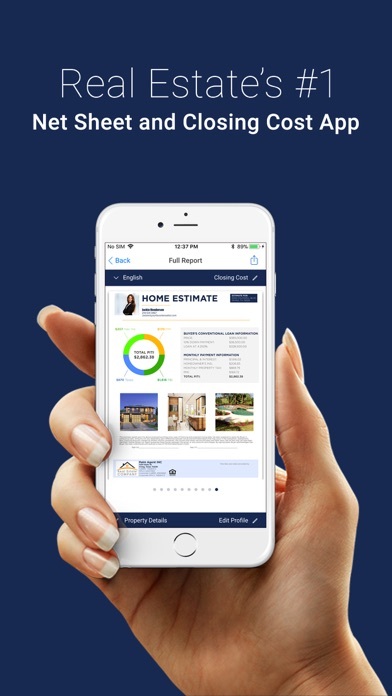 Love this App.. Use it on every listing! Works excellent. Great support. Thanks LT. Completely love the app and how easy it is too use either with buyers or sellers. The only issue I seem to have is that when I save a seller closing cost template it stays in the app until I close out the app. Once I open the app again all my saved closing costs entries are gone.